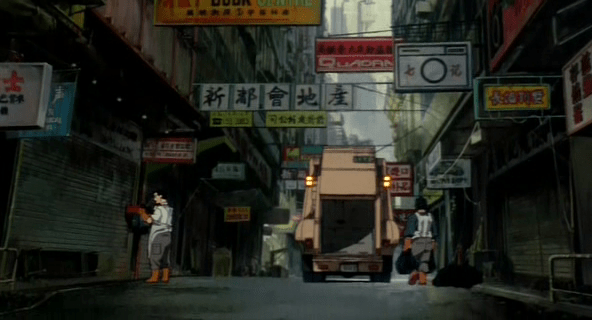 Posted in Ghost in the Shell (1995), ~ Overview. 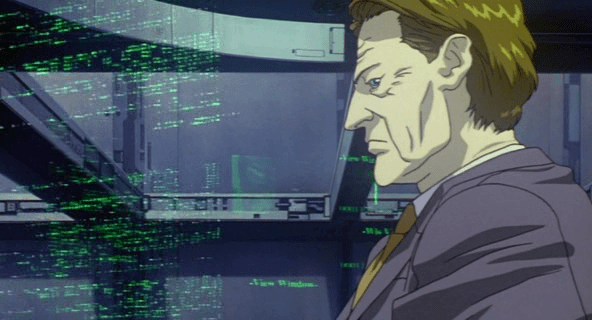 In the film we see Ghost Hacker using the same technology embedded in a hooded coat he wears. He activates it by pulling the hood over his head. This gesture makes a great deal of physical sense, similar to the face-hiding gesture. Donning a hood would hide your most salient physical identifier, your face, so having it activate the camouflage is a simple synechdochic extension. 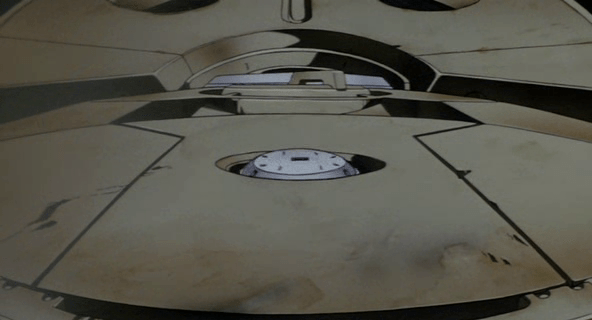 The spider tank also features this same technology on its surface, where we learn it is a delicate surface. It is disabled from a rain of glass falling on it. This tech less than perfect, distorting the background behind it, and occasionally flashing with vigorous physical activity. And of course it cannot hide the effects that the wearer is creating in the environment, as we see with splashes the water and citizens in a crowd being bumped aside. Since this imperfection runs counter to the wearer’s goal, I’d design a silent, perhaps haptic feedback, to let the wearer know when they’re moving too fast for the suit’s processors to keep up, as a reinforcement to whatever visual effects they themselves are seeing. UPDATE: When this was originally posted, I used the incorrect concept “metonym” to describe these gestures. The correct term is “synechdoche” and the post has been updated to reflect that. The core of interaction design is the see-think-do loop that describes the outputs, human cognition, and inputs of an interactive system. 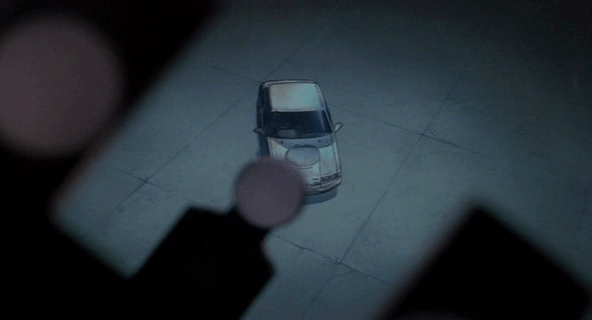 A film or TV show spends time showing inputs without describing some output, only when these users are in the background and unrelated to the plot. But there are a few examples of outputs with no apparent inputs. These are hard to evaluate in a standard way because it’s such a giant piece of the puzzle. 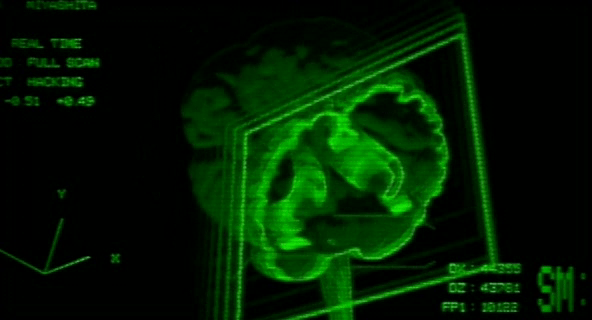 Is it a brain input? 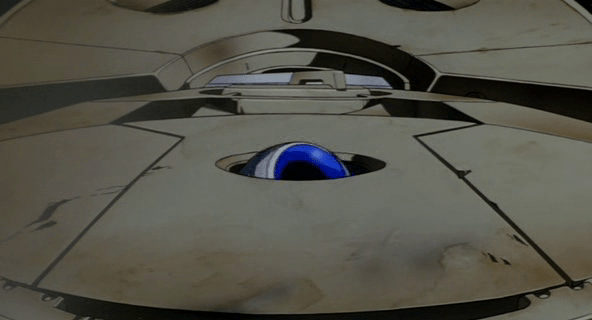 Is the technology agentive? Is it some hidden input like Myo‘s muscle sensing? Not knowing the input, a regular review is kind of pointless. All I can do is list its effects and perhaps evaluate the outputs in terms of the apparent goals. 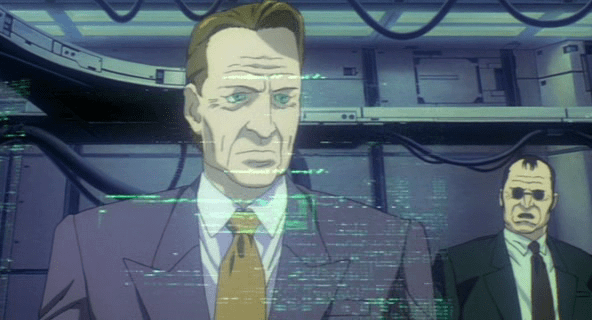 Ghost in the Shell has several of these types of inputless systems. 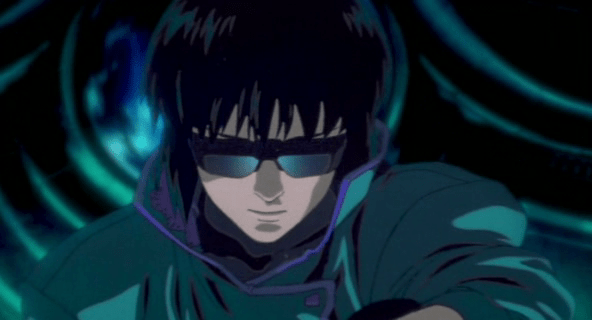 Today’s is Kusanagi’s heat vision. 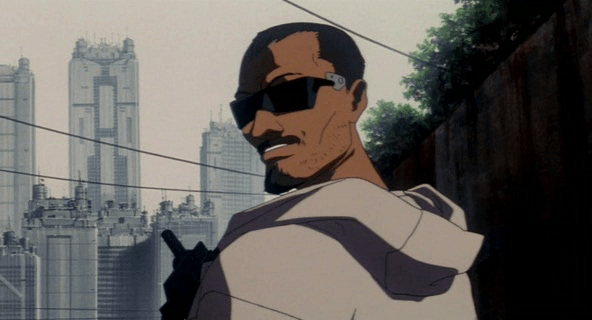 Early in the film, Kusanagi sits atop a skyscraper, jacked in, wearing dark goggles, and eavesdropping on a conversation taking place in a building far below. 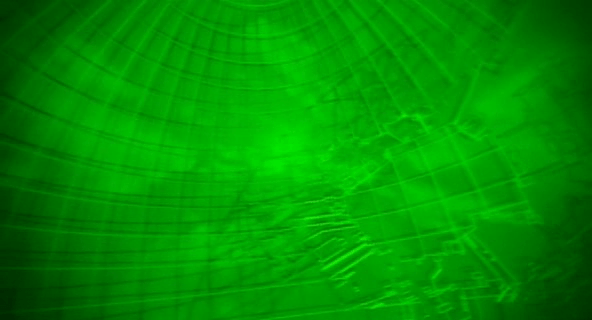 As she looks down, she sees through the walls of the building in a scanline screen-green view that shows the people as bright green and furniture as a dim green, with everything else being black. She adjusts the view by steps to zoom closer and closer until her field of vision is filled with the two men conversing in her earpiece. When she hears mention of Project 2501 she thinks the message, “Major, Section 6 is ready to move in.” She reaches up to her right temple and clicks a button, to turn the goggles off before removing them. That’s nifty. But how did she set the depth of field and the extents (the frustum) of the display so that she only sees these people, and not everyone in the building below this? How does she tell the algorithm that she wants to see furniture and not floor? (Is it thermography? Is the furniture all slightly warm?) What is she doing to increase the zoom? If it’s jacked into her head, why must she activate it several times rather than just focusing on the object with her eyes, or specifying “that person there?” How did she set the audio? Why does the audio not change with each successive zoom? If they’re from separate systems, how did she combine them? If I had to speculate what the mechanism should be, I would try to use the natural mechanisms of the eye itself. 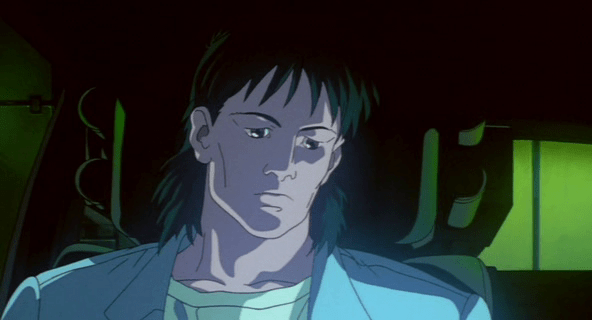 Let Kusanagi use a slight squint gesture to zoom in, and a slight widening of the eyelids to zoom out. This would let her maintain her gaze, maintain her silence, keep her body still, and keep her hands free. 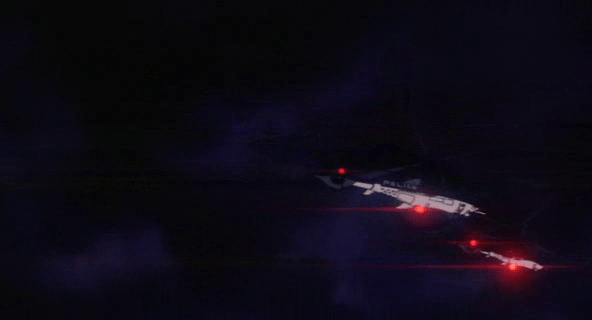 The scene implies that her tools provide a set amount of zoom for each activation, but for very long distances that seems like it would be a pain. I would have the zoom automatically set itself to make the object on which she is focusing fill her field of vision less some border, and then use squint-gestures to change the zoom to the next logical thing. For instance, if she focused on a person, that person would fill her field of vision. A single widening might zoom out to show the couch on which they are sitting. Another the room. This algorithm wouldn’t be perfect, so you’d need some mechanism for arbitrary zoom. I’d say a squint or wide-eyed gesture held for a third of a second or so would trigger arbitrary zoom for as long as the gesture was maintained, with the zoom increasing logarithmically. As for the frustum, use the same smart algorithm to watch her gaze, and set the extents to include the whole of the subject and the context in which it sits. 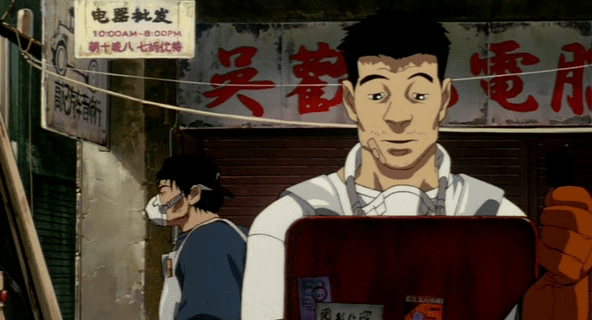 The garbage collector who is inadvertently working for Ghost Hacker takes a break during his work to access the network by public terminal. The terminal is a small device, about a third of a meter across, mounted on a pole about a meter high and surrounded by translucent casing to protect it from the elements and keep the screen private. Parts are painted red to make it identifiable in the visual chaos of the alleyway. After pressing a series of buttons and hearing corresponding DTMF, or Touch-Tones, he inserts a card into a horizontal slot labeled “DATA” in illuminated green letters. The card is translucent with printed circuitry and a few buttons. The motorized card reader pulls the card in, and then slides it horizontally along a wide slot while an illuminated green label flashes that it is INSPECTING the card. When it is halfway along this horizontal track, a label on the left illuminates COMPRESS. 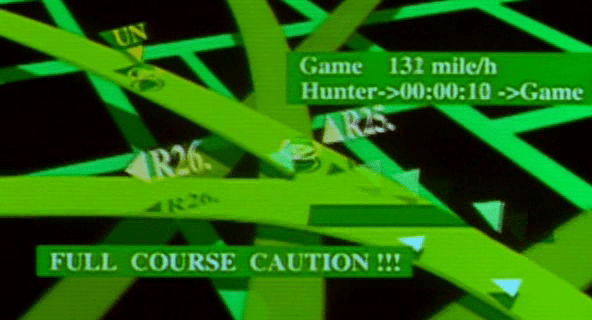 On a multilayer, high-resolution LCD screen above, graphics announce that it is trying to CONNECT and then providing ACCESS, running a section of the “cracking software” that the garbage collector wishes to run. After he is done with ACCESS, he removes the card and gets back to work. From a certain perspective, there’s nothing wrong with this interaction. He’s able to enter some anonymous information up front, and then process the instructions on the card. It’s pretty ergonomic for a public device. It provides him prompts and feedback of process and status. He manages its affordances and though the language is cryptic to us, he seems to have no problem. Where the terminal fails is that it gives him no idea that it’s doing something more than he realizes, and that something more is quite a bit more illegal than he’s willing to risk. Had it given him some visualization of what was being undertaken, he might have stopped immediately, or at least have returned to his “friend” to ask what was going on. Of course the Ghost Hacker is, as his name says, a powerful hacker, and might have been able to override the visualization. But with no output, even novice hackers could dupe the unknowing because they are uninformed. "Security, whose official vehicles are parked in the basement garage?" "They belong to Chief Nakamura of the treaties bureau and a Dr. Willis." "Give me the video record of their entering the building." "Send me the pressure sensor records for basement garage spaces B-7 and 8." The screen then does several things at once. It shows a login screen, for which his username is already supplied. He mentally supplies his password. 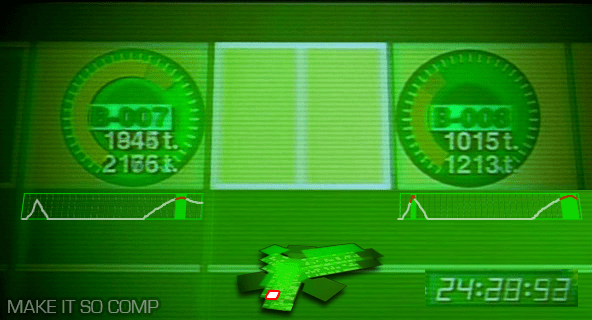 Next a menu appears on a green background with five options: NET-WORK [sic], OPTICAL, PRESSURE, THERMO, and SOUND. "PRESSURE" highlights twice with two beeps. Then after a screen-green 3D rendering of Section 9 headquarters builds, the camera zooms around the building and through floorplans to the parking lot to focus on the spaces, labeled appropriately. 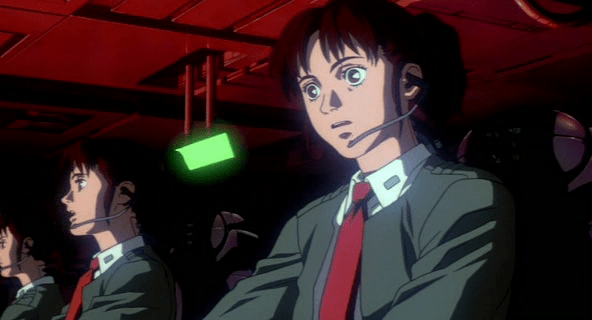 Togusa watches as pea green bars on radial dials bounce clockwise, twice, with a few seconds between. Sci-fi logins often fail for basic multifactor authentication, and at first it appears that this screen only has two parts: a username and password. But given that Togusa connects to the system first vocally and then mentally, it’s likely that one of these other channels supplies a third level of authentication. Also it seems odd to have him supply a set of characters as the mental input. 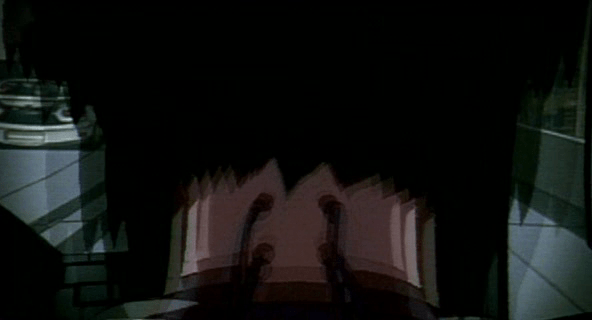 Requiring Togusa to think a certain concept might make more sense, like a mental captcha. 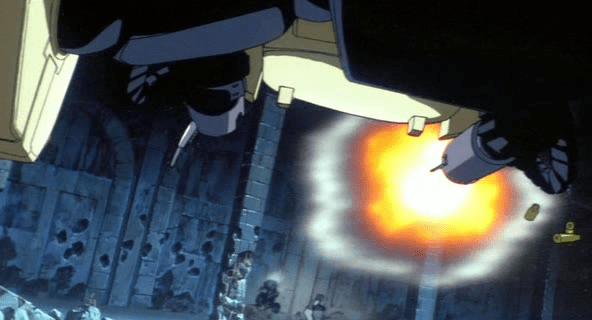 Given that seconds can make a life-or-death difference and that the stakes at Section 9 are so high, the time that the system spends zooming a camera around the building all the way to the locations is a waste. It should be faster. It does provide context to the information, but it doesn’t have to be distributed in time. Remove the meaningless and unlabeled dial in the lower right to gain real estate, and replace it with a small version of the map that highlights the area of detail. Since Togusa requested this information, the system should jump here immediately and let him zoom out for more detail only if he wants it or if the system wants him to see suspect information. The radial graphs imply some maximum to the data, and that Nakamura’s contingent hits some 75% of it. What happens if the pressure exceeds 37 ticks? Does the floor break? (If so, it should have sent off structural warning alarms at the gate independently of the security question.) But presumably Section 9 is made of stronger stuff than this, and so a different style of diagram is called for. Perhaps remove the dial entirely and just leave the parking spot labels and the weight. Admittedly, the radial dial is unusual and might be there for consistency with other, unseen parts of the system. Aside from all these details of the interface and interaction design, I have to marvel at the broader failings of the system. This is meant to be the same bleeding-edge bureau that creates cyborgs and transfers consciousnesses between them? If the security system is recording all of this information, why is it not being analyzed continuously, automatically? 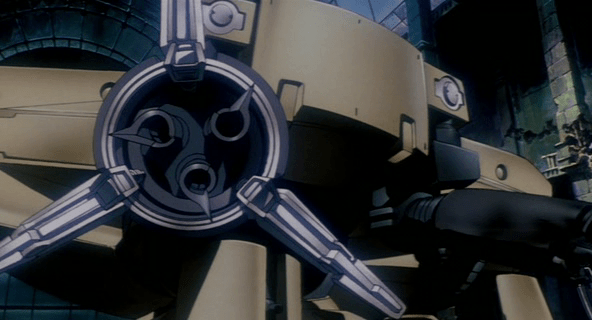 We can presume that object recognition is common in the world from a later scene in which a spider tank is able to track Kunasagi. So as the security system was humming along, recording everything, it should have also been analyzing that data, noting the discrepancy between of the number of people it counted in any of the video feeds, the number of people it counted passing through the door, and the unusual weight of these "two" people. It should have sent a warning to security at the gate of the garage, not relied on the happenstance of Togusa’s hunch and good timing. This points to a larger problem that Hollywood has with technology being part of its stories. It needs heroes to be smart and heroic, and having them simply respond to warnings passed along by smart system can seem pointedly unheroic. But as technology gets smarter and more agentive, these kinds of discrepancies are going to break believability and get embarassing. 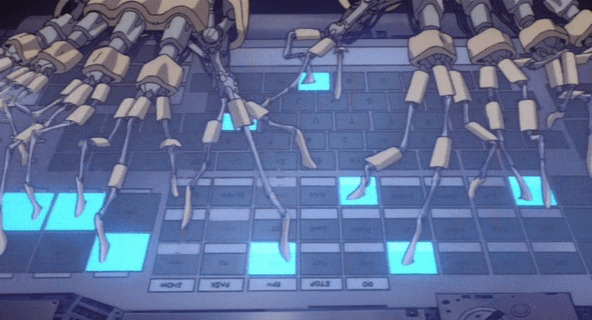 Many characters in Ghost in the Shell have a particular cybernetic augmentation that lets them use specially-designed keyboards for input. 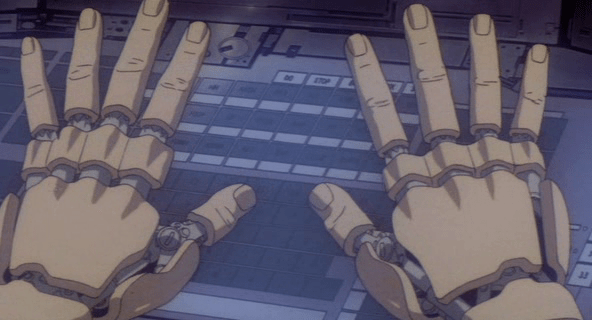 To control this input device, the user’s hands are replaced with cybernetic ones. Normally they look and behave like normal human hands. But when needed, the fingers of these each split into three separate mini-fingers, which can move independently. These 30 spidery fingerlets triple the number of digits at play, dancing across the keyboard at a blinding 24 positions per second. The keyboards for which these hands were built have eight rows. The five rows nearest the user have single symbols. (QWERTY English?) Three rows farthest from the user have keys labeled with individual words. Six other keys at the top right are unlabeled. Each key glows cyan when pressed and is flush with the board itself. In this sense it works more like a touch panel than a keyboard. The board has around 100 keys in total. What’s nifty about the keyboard itself is not the number of keys. Modern keyboards have about that many. 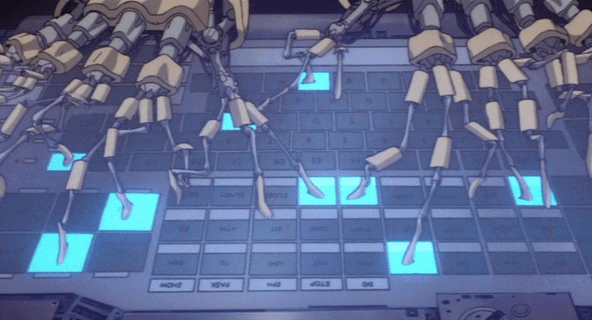 What’s nifty is that you can see these keyboards are massively chorded, with screen captures from the film showing nine keys being pressed at once. Let’s compare. (And here I owe a great mathematical debt of thanks to Nate Clinton for his mastery of combinatorics.) The keyboard I’m typing this blog post on has 104 keys, and can handle five keys being pressed at once, i.e, a base key like “S” and up to four modifier keys: shift, control, option, and command. If you do the math, this allows for 1600 different keypresses. That’s quite a large range of momentary inputs. But on the tera-keyboard you’re able to press nine keys at once, and more importantly, it looks like any key can be chorded with any other key. If we’re conservative in the interpretation and presume that 9 keys must be pressed at once—leaving 6 fingerlets free to move into position for the next bit of input—that still adds up to a possible 2,747,472,247,520 possible keypresses (≈2.7 trillion). That’s about nine orders of magnitude more than our measley 1600. At 24 keypresses per second, that’s a data rate of 6.5939334e+13 per second. What exactly is being input? It’s certainly more than just characters. Unicode‘s 110,000 characters is a fraction of a fraction of this amount of data, and it covers most of the world’s scripts. Is it words? Steven Pinker in his book The Language Instinct cites sources estimating the number of words in an educated person’s vocabulary is around 60,000. This excludes proper names, numbers, foreign words, any scientific terms, and acronyms, so it’s pretty conservative. Even if we double it, we’re still around the number of characters in Unicode. So even if the keyboard had one keypress for every word the user could possibly know and be thinking at any particular moment, the typist would only be using a fragment of its capacity. The only thing that nears this level of data on a human scale is the human brain. With a common estimate of 100 billion neurons, the keyboard could be expressing the state of it’s users brain, 24 times a second, distinguishing between 10 different states of each neuron. 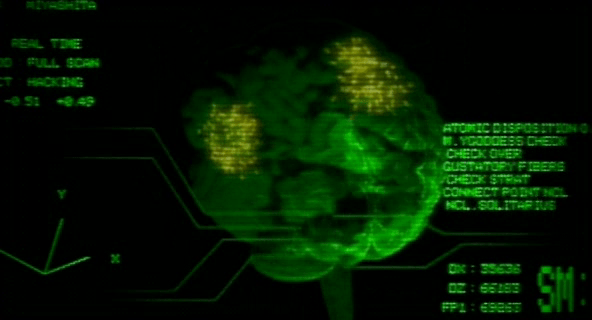 But if it’s a passive device, simply taking “pictures” of the brain and sharing those pictures with the computer, it doesn’t require that the human be reengineered, just re-equipped. 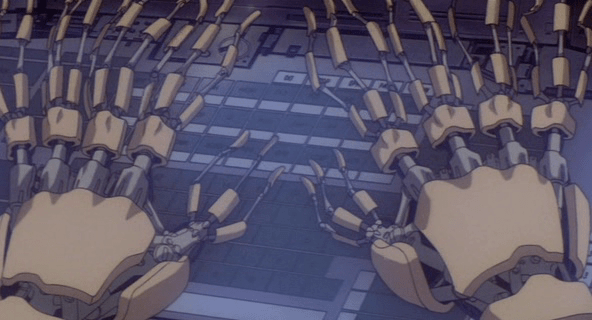 It requires a very smart computer system able to cope with and respond to that kind of input, but we see that exact kind of artificial intelligence elsewhere in the film. Because of the form factor of hands and keyboard, it looks like a manual input device. But looking at the data throughput, the evidence suggests that it’s actually a brain interface, meant to keep the computer up to date with whatever the user is thinking at that exact moment and responding appropriately. 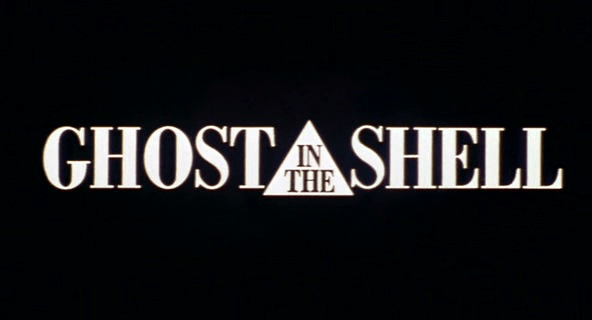 For all the futurism seen in this film, this is perhaps the most futuristic, and perhaps the most surprising.